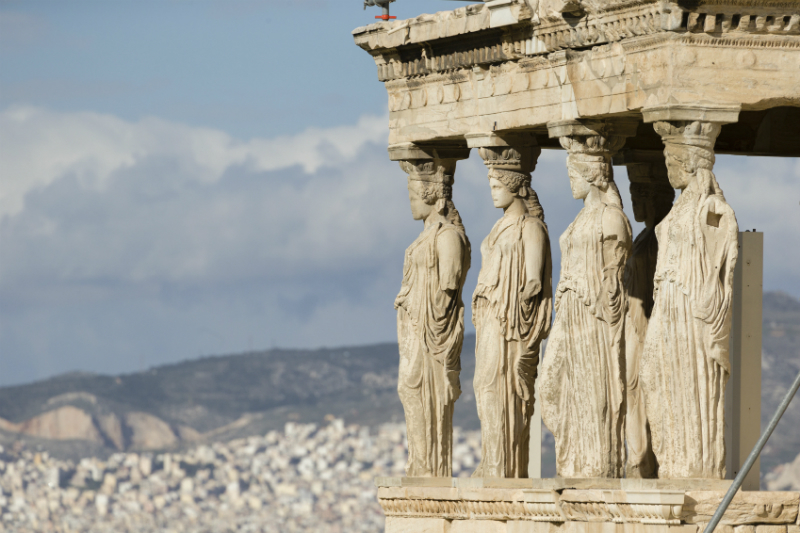 Greece is well known for its fascinating ancient history, as well as its holidays in the sun. Combine the two by exploring the incredible wealth of historical sites Greece has to offer tourists. Though there are ancient Greek ruins spread far and wide, particularly in locations such as Turkey and Sicily, here are our five favourite historical sites across the country in which democracy was born. 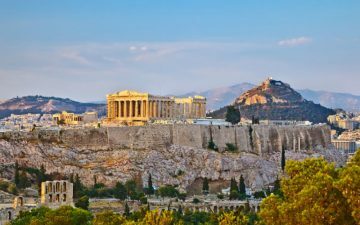 To those who are familiar with global historical sites, it should be no surprise that The Acropolis is at the top of our list of recommended destinations. 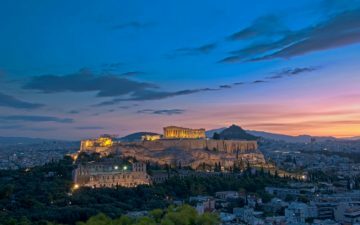 Set upon a rocky outcrop, The Acropolis watches over the modern day city of Athens, making it easy to stay in a hotel in Athens for your visit to the ancient citadel; unfortunately, this makes it a very busy site, though the trip is still absolutely worthwhile. The Acropolis boasts some of the most famous ancient landmarks in the world, with the Parthenon being a particularly iconic structure. When you think ‘timeless ruins,’ it’s likely that an image of the Parthenon with its stunning columns comes to mind. The Erechtheum and Propylaia are also to be found at this site. Be sure to visit the nearby Acropolis Museum, as it boasts interesting exhibitions with accessible multimedia displays, as well as featuring the statues (some original, some plaster-cast reproductions) that decorated the Parthenon in its golden age. Note that The Acropolis is lit up at night – if you want to see this stunning sight properly, views are available from some hotels, as well as rooftop restaurants. While you’re in Athens, be sure to visit the Temple of Hephaestus, which arguably takes the title of the best-preserved Greek temple in the world. Set in the Athens Agora area, but outside the Acropolis, there is still some debate among experts as to who the temple is dedicated to. However, this has no effect on how visually impressive the temple is. As it is less well known, this temple is also far less busy than the famous Parthenon, and thus a great destination for those who want to have a look without feeling as though the area is overcrowded. Set in the hills overlooking the city of Sparta, the medieval city of Mystras is well worth a visit for history buffs. Mystras boasts a number of fascinating attractions, including the ruins of a monastery, a castle, and several churches. A visit to the archaeological museum will give you an insight into the context surrounding the city’s rich history. The city also offers fantastic views out over the idyllic landscape in which it was founded in 1249. This is the city where the Ancient Greek Olympic games, from which our modern games take their name, were first held. The Olympic flame is still lit today by using the reflection of sunlight on the parabolic mirror in front of the ruins of the Temple of Hera. The remains of the 50,000 spectator capacity stadium in which the games were held can still be seen today. The city also boasts the ruins of impressive temples, as well as the palaestra, where wrestlers and other athletes would have undertaken their training. Be sure to stop by the archaeological museum, as it offers very interesting collections from the ruined city of Olympia, including sculptures from the Temple of Zeus. Set in a valley in the Peloponnesus peninsula of Greece, Epidaurus was a famous centre of healing, which developed around a shrine to Asclepios, the god of medicine. People with illnesses and ailments came from all over Greece, bearing offerings in exchange for being healed. With imposing temples and hospital buildings, this site is estimated to date from the 6th century BC, and provides fascinating insight into the relationships people had with the gods in Ancient Greece. The site also pays tribute to Apollo and Hygeia. There is an incredibly well-preserved theatre, which was designed to hold roughly 13,000 spectators. According to Pausanias, the theatre was built by Polykleitos the Younger, who was an architect of the Argos school. If you’re planning on travelling around, be sure to consider where you’ll be staying when visiting each landmark. 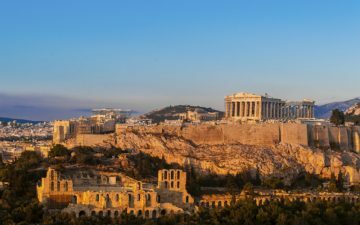 While some destinations will have limited accommodation offerings, it may be possible to stay in some of the top hotels in Greece when visiting others. 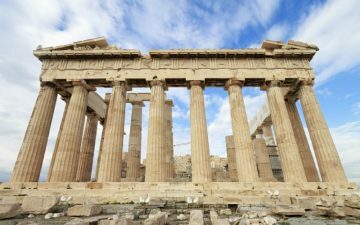 Considering where you want to stay, and for how long, is essential to putting together your itinerary for your tour of Greece’s historical landmarks.